An Orcs in the Webbe Original! 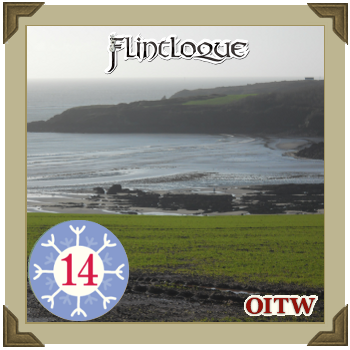 Austin Powys, International Hobgoblin of Mystery in his latest Christmas Adventure! An Orcs in the Webbe Original! 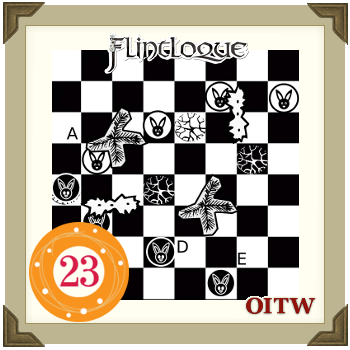 Michael White returns to OITW with something rather lovely, a Flintloque/Chess crossover featuring the rabbits of Burrovia. 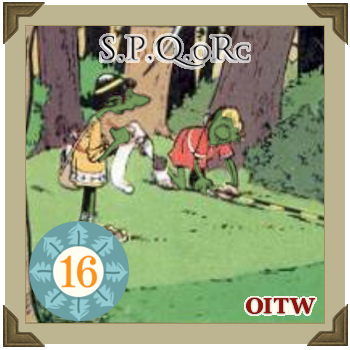 An Orcs in the Webbe Original! Centurion Shakslag Brutalus and his Noman Orc unit have been assigned to aide the architect Ugnob Jumpedupicus in what he considers to be a frankly bloody ridiculous exercise in the Boche forests miles away from the front line fighting. An Orcs in the Webbe Original! Undercover for Bureau Ess, famous playorc spy Jaysorc Kyng is sent to the Witchlands posing as a luxury soap seller. But why is he really in Moskova? Are creatures made of snow preying on the living? Kyng has his pistols and potash just in case! An Orcs in the Webbe Original! 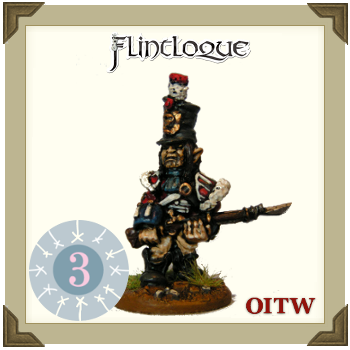 An introduction to Orcs in the Webbe’s planned ongoing Flintloque campaign for 2019, Londinium. Londinium is going to be a character driven Flintloque story arc set in the titular capital city of the Orc’s homeland, Albion. 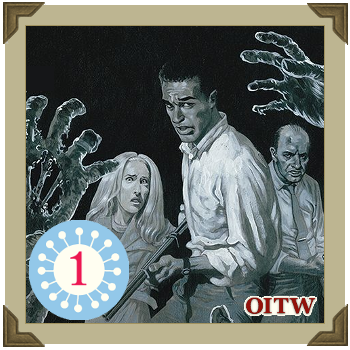 This first article starts with a huge chunk of history where the idea for this campaign came from and sets out the overall setting as well as introducing one of the three main factions you’ll be seeing in “Season One”. An Orcs in the Webbe Original! Hauptmann Dastardly has one mission, to stop the daring Gnome pilot Yankee Griffonnage on his albino Faucon from returning back to Gnome headquarters with the latest war updates. 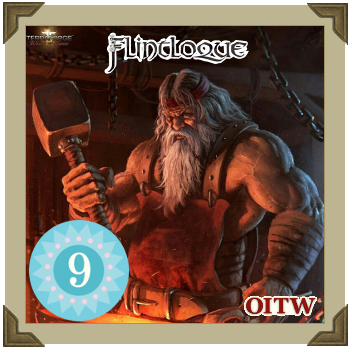 Can they do it this time, and will Unteroffizier Klunk’s improvements help or hinder? 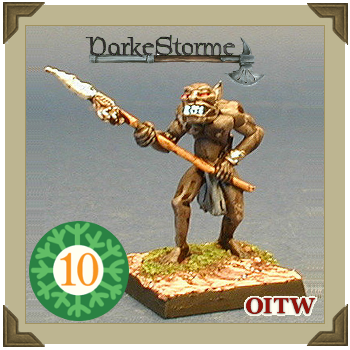 An Orcs in the Webbe Exclusive! 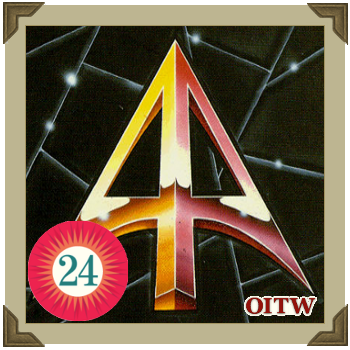 The original, fan created and not for profit Doctor Who Miniatures Game lives on in the hands of its fans. 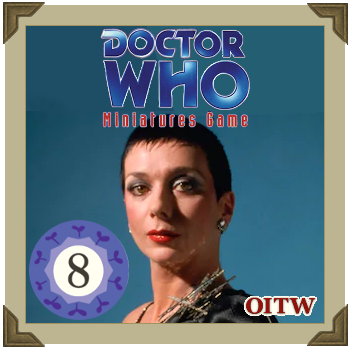 For the first time ever, the Doctor Who Miniatures Game does Blakes 7, the other great sci-fi show of the 70s/80s. An Orcs in the Webbe Original! 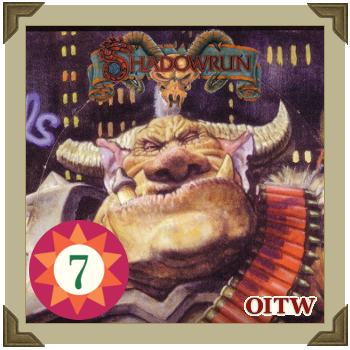 Detailed rules allowing you to play Mike Nielsen's 1997 Shadowrun: The Trading Card Game solitaire. An Orcs in the Webbe Original! Doctorov has decided to create a new army of golems from magicke wax. 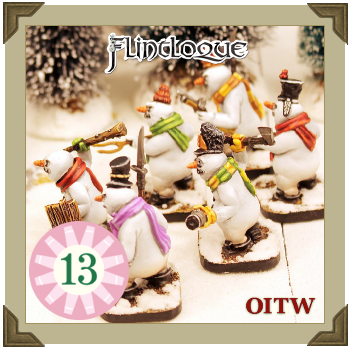 Can his unwilling assistants waylay enough Ferach soldiers deep in the frozen forest before their plan is revealed in this Flintloque scenario for one or two players. An Orcs in the Webbe Original! 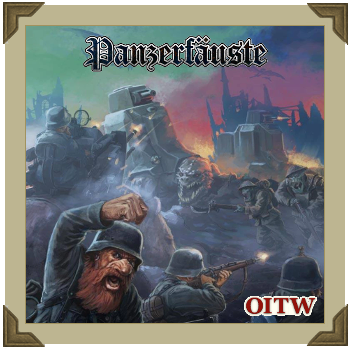 Sometimes it can be handy to be able to generate an objective when playing a game of Panzerfäuste on the fly, here is a short table to start you off! An Orcs in the Webbe Original! 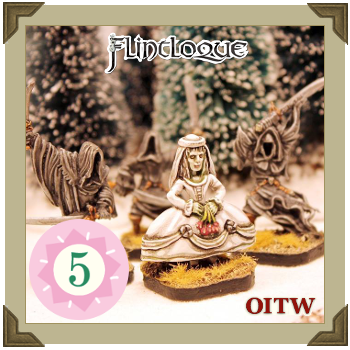 Regular readers of The Advent Calendar will no doubt be aware of our favourite red-coated anti-hero and his many miss-adventures, but few will have heard the tale of how Freddy obtained his previously-owned-by-an-Ogre boots or as Freddy calls them, ‘His Daisy Roots’. 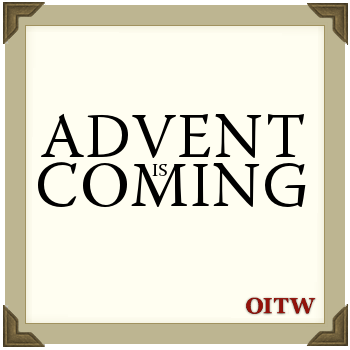 Being in the main a summary page of the twenty-four original and exclusive seasonal offerings we presented for your viewing pleasure during the 2017 Advent Calendar. An Orcs in the Webbe Original! 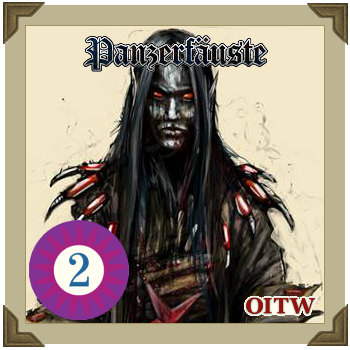 The Dark Elf avenger, El Lupe, must rescue some slaves sentenced to death by the corrupt Commandant Jamón in this two player scenario for Alternative Armies' skirmish game, Frontear. An Orcs in the Webbe Original! 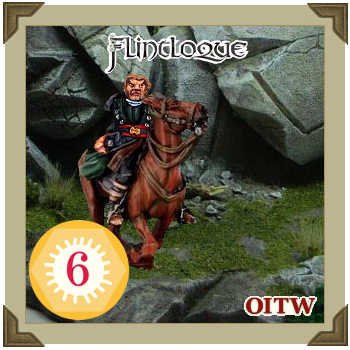 Hickorc battles LaRegreet once more, this time on a gold laden train hurtling through the mountains in this two player scenario for Alternative Armies' skirmish game, Frontear. An Orcs in the Webbe Original! 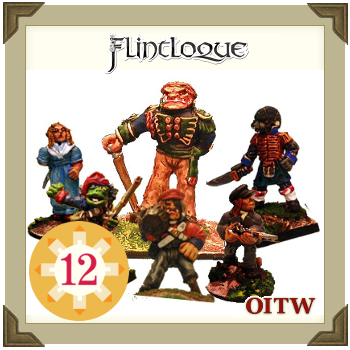 Orc settlers and a Logann war-party rush through spider infested woods to try and save two captured Orcs in this original scenario based on one of the stories in Alternative Armies' Frontear rulebook. An Orcs in the Webbe Original! 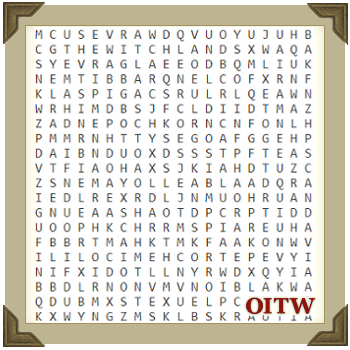 Capturing the spirit of annuals from when you were kids, OITW brings you the inaugural Christmas Wordsearch, this years theme... Flintloque.